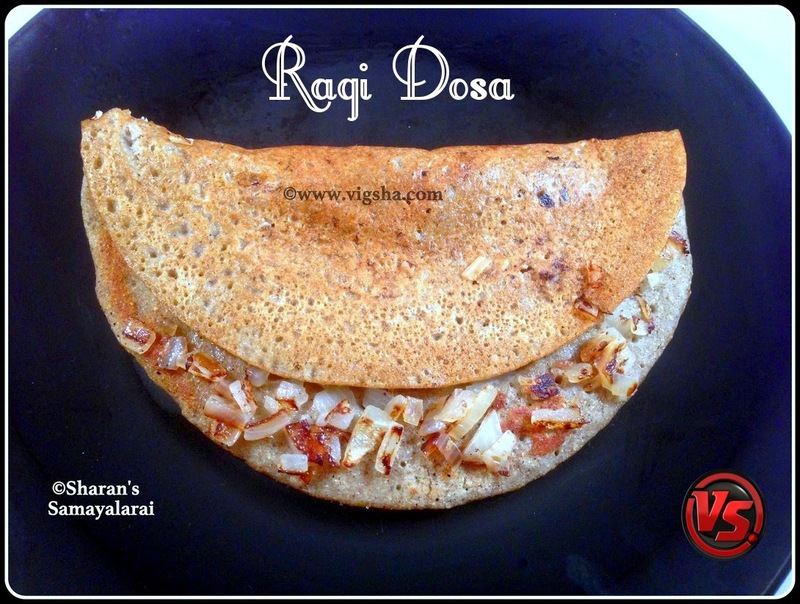 Ragi Dosa is a healthy south-Indian breakfast recipe. 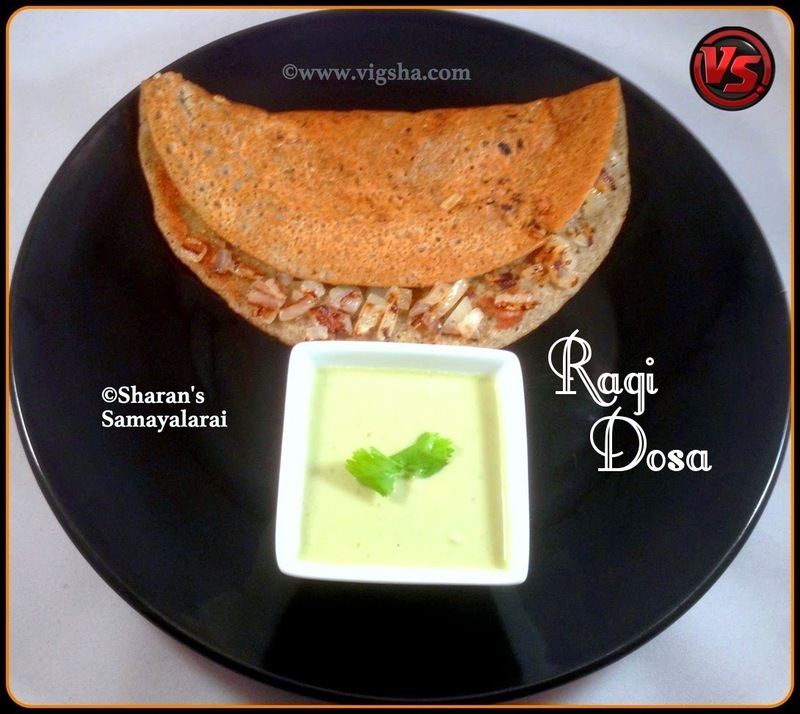 I have already posted Instant Ragi Dosa and Instant Ragi Idli, do check those recipes..
1). Wash and soak Urad dal for nearly 3-4 hours. Grind it to a smooth batter. Mix ragi flour to this without any lumps. 2). Heat dosa pan, pour a ladle full of dosa and spread it to medium thick circle. Drizzle a tsp of ghee or oil and sprinkle onions on top. Press the onions with a ladle so that onions will get infused in the dosa. 3). When the bottom gets cooked and sides become brown, flip the dosa. Let both the sides get cook and onions turn light brown. Remove from stove and switch off ! Serve hot ! I served it with Coconut Chutney ..
# If you want it crispier, when preparing the batter mix rice flour along with ragi flour. # Do not skip chopped onions, it is must as it adds more flaovr to the dosa.